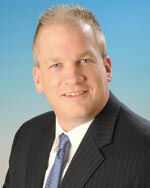 Jon M. Dawes, Jr. has twelve years of experience in real estate, land development, planning and economic development. He specializes in real estate acquisition and site development and has been involved in numerous large-scale land development projects in New York’s Capital Region. He is a licensed real estate agent and is certified in erosion control. Jon’s is currently the construction liaison for site and infrastructure development at the Luther Forest Technology Campus, a 1,414-acre site in Malta, New York. He oversees and leads all construction activities at the site and works closely with consultants, contractors and construction crews to ensure that work is completed to spec, on time, and within budget. He is currently overseeing the construction of the campus sewer line, electric transmission line, campus roadways, and nature trails. Jon also assists in grant writing, site marketing, proposal development and evaluation, and real estate development. Prior to his position at the Luther Forest Technology Campus, Jon worked for the Saratoga Economic Development Corporation (SEDC) as an economic development specialist. In this position, he assisted existing businesses and new firms seeking to locate in Saratoga County. He was also the liaison to the Saratoga County Industrial Development Agency, which provides financial assistance to the private sector to encourage capital investment and job creation to benefit the economy of Saratoga County. Previously, Jon was a Licensed Commercial Real Estate Agent with Coldwell Banker Commercial. He also spent four years with C.T. Male Associates, P.C. in their Land Development Division as a site designer. He helped develop hotels, Lowe’s and Target shopping centers. Jon holds an AAS in Landscape Development from the State University of New York College of Agriculture and Technology at Cobleskill and a BA in Urban Planning & Regional Studies and Geography from the State University of New York at Albany.